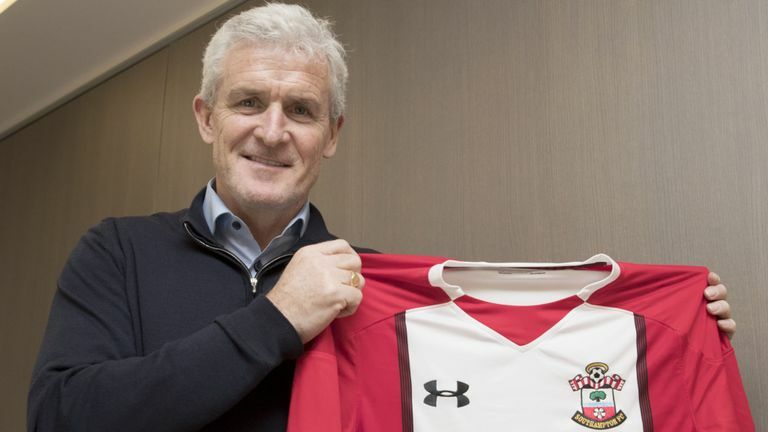 Southampton have appointed former Stoke and Manchester City boss, Mark Hughes as their new manager until the end of the current campaign. Hughes was sacked by Stoke City in January after four and a half years in charge, leaving with the Potters in the relegation zone. He has taken charge of 445 Premier League matches for Blackburn, Manchester City, Fulham, QPR and Stoke during a managerial career that began with five years in charge of his native Wales. The 54-year-old will be joined at St Mary’s by his regular assistant manager Mark Bowen and assistant first‑team coach Eddie Niedzwiecki. The coaching team is due to take training for the first time on Thursday.